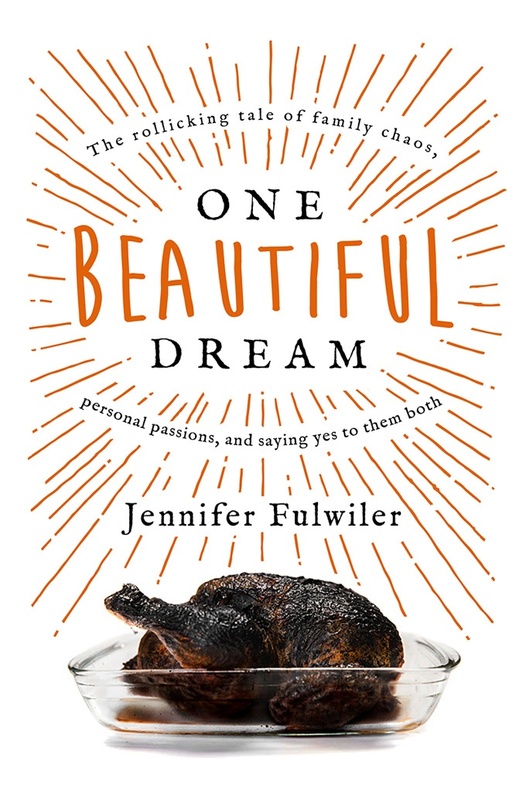 If you read just one book I’ve recommended in all my years of blogging about books, read One Beautiful Dream: The Rollicking Tale of Family Chaos, Personal Passions, and Saying Yes to Them Both by Jennifer Fulwiler. I mean it. Put down your phone and go to your closest bookstore, or just hop over to Amazon and add it to your cart. Then read it. Read it in the bathroom, read it while the kids watch TV, read it while you’re nursing the baby to sleep. Just read it. Jennifer Fulwiler is a mom of six kids, blogger, and Sirius XM radio host. She’s a mom who gets it. She knows what it’s like to have big dreams—dreams that get interrupted by the demands of new babies and small children. One Beautiful Dream is her story of birthing babies and chasing passions. It’s real, relatable, and inspiring. One Beautiful Dream begins when Jennifer’s oldest two kids are ages two and one and she’s pregnant with her third. Life is, as she so humorously shows in the first chapter, chaotic. If you’ve ever taken two toddlers to the grocery store while pregnant, you can probably relate. Yet in that fog and chaos of motherhood, Jennifer years for something more—for her blue flame. The blue flame is how Jennifer describes the skill or hobby that makes her come alive. For both of us, it’s writing. For you, it may be something else, like cooking or baking or interior decorating or art or gardening. And often as moms, we put this blue flame aside to care for the needs of our kids. Even if you’re not a writer like Jennifer, you can probably relate to her struggles of trying to find time for her blue flame amidst daily motherhood. I used to think there was a rare, special group of superwomen who could do nothing but serve their children and their families 24/7, who never yearned to use their God-given talents. Now I wondered if perhaps every thriving woman pursues her personal passions. … I could have gotten to know more women like this over the years, and learned a few things from them, if I hadn’t thrown up walls between us out of a misguided sense of inferiority. Since I’d become a parent, I’d had this idea that the perfect mother would spend hours out of each day on the floor with her young children, gazing into their eyes as she slowly articulated the sound of each letter on the educational wooden alphabet blocks they were building into a tower. … Now I suddenly realized that mothers throughout history never did this; they never had time. Children’s primary sources of entertainment were outdoor play and other kids, not their mothers. One Beautiful Life spans about a decade of Jennifer’s life, as she struggles to raise her young family and write Something Other Than God: How I Passionately Sought Happiness and Accidentally Found It . There are ups and downs along the way, celebrations and set-backs. Jennifer is one of those people who can poke fun at herself; I laughed aloud several times while reading. Each chapter contains a nugget of wisdom, a tidbit of truth that Jennifer has learned. Finally, despite new babies and family crisis and homeschooling and other delays, Jennifer’s first book is finished. The last chapter of One Beautiful Dream is once again a grocery shopping trip, but it’s vastly different than the first chapter. She still has a lot of kids. Life is still crazy. But it’s crazy in a good way, as Jennifer is living the lessons she’s learned and shared in One Beautiful Dream. As I said, if you’re a mom, you need to read this book. If you’ve ever stared at the dishes by the sink and the laundry in the bathroom and the toys on the floor, and wondered if you’re wasting your talents, and wished longingly for the days when you could write or sing or create at leisure, then you need to read One Beautiful Dream. It’s a beautiful, honest look at real mom life and how we women can be moms and pursue our passions too. I borrowed this book from my friend (and lent her my copy of Something Other Than God, which is also really good and which I do mean to tell you about someday); all opinions expressed are my own.